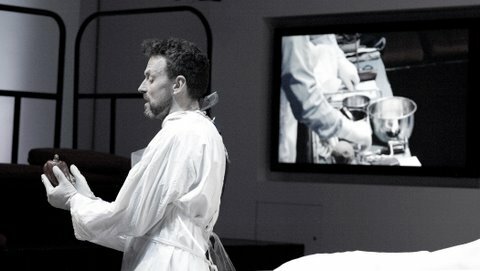 Vesalius: a Requiem has been name-checked as one of the Adelaide Advertiser’s top 10 shows of the year. Great news for Various People (aka. Cheryl Pickering&Richard Chew) who have just arrived back in the UK to remind themselves of what they’re missing. There are plans afoot to restage another of Rick’s monumental compositions – the song-cycle solitary (originally staged at Lincoln Gaol under our Resurrectionists moniker back in 1998/9). Meanwhile the Adelaide Advertiser is also predicting growth in the Arts for the coming year despite belt-tightening elsewhere. A sign perhaps that Australia is bucking the trend by encouraging investment in its cultural assets. Link to more images of this year’s production at RiAus.